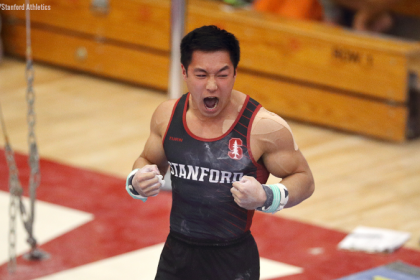 As most NCAA gymnastics fans were preoccupied with postseason, level 10 gymnasts across the country competed in regional championships. 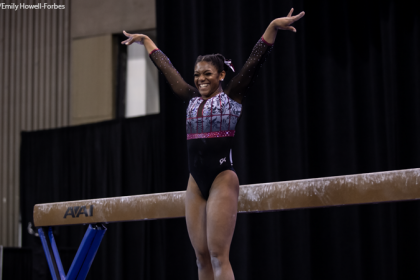 Each championship was split into 12 age groups—the same 12 that will be contended at nationals—and the top seven gymnasts from each group qualify to nationals. Auburn unexpectedly led the standings of commits qualifying to nationals with a total of nine, including incoming star Derrian Gobourne. California, Nebraska and Oregon State followed closely with eight each. 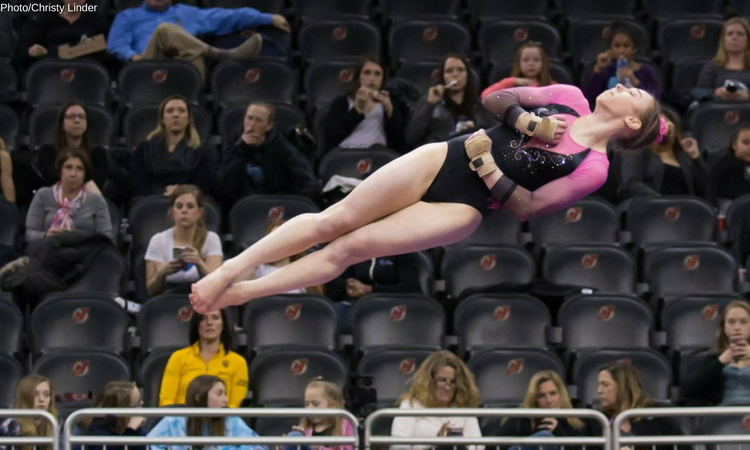 There are a few surprises, too: Michigan State and Rutgers each will be represented by six gymnasts while North Carolina, Arizona and West Virginia have six apiece. The Senior F division consists almost exclusively of graduating seniors, which means the results of that division are always interesting for recruiting purposes. This year, the eight Senior F champions are spread between five different programs. Gobourne picked up one title for Auburn, and Michigan, Minnesota and Oregon State each had two SR F champions. Michigan’s incoming freshman Natalie Wojcik registered the only 39.000+ score of the weekend. Division II/III teams will be well represented at nationals, too. 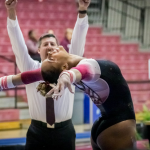 Gymnasts heading to Bridgeport, Brockport, Hamline, Lindenwood, Southern Connecticut, Texas Woman’s, West Chester and three different Wisconsin campuses have qualified to nationals. Texas Woman’s in particular will be sending three members of its incoming freshman class. Full lists of the qualifiers can be found below. We’ve included the top seven all arounders from each age division, plus two alternates marked in grey. Please note that we have not accounted for possible withdrawals or gymnasts who may be added to the roster to fill out incomplete regional teams, as this information is not yet finalized.